Another semester and year has come to the end and this is shortly what had happened during this very intensive 16 weeks with our students from Texas A&M University, Clemson University and Roger Williams University. 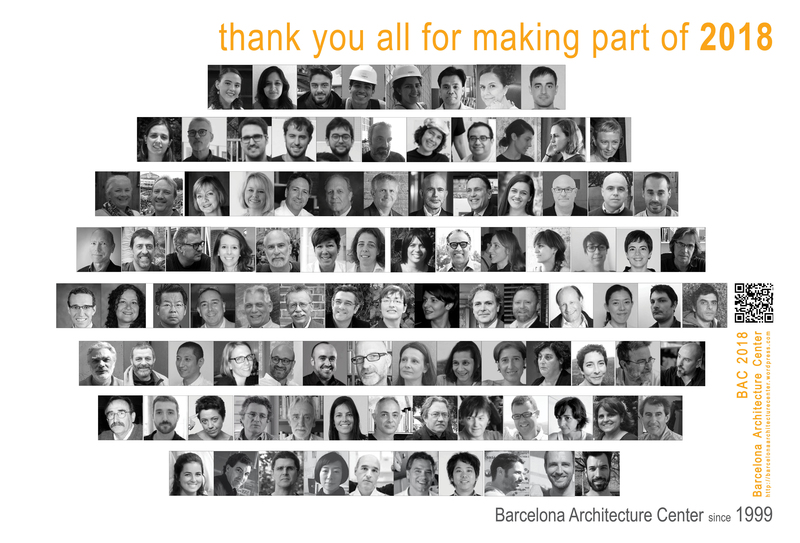 We give special thanks to our invited jury including Marcel Erminy, Texas A&M University Associate Professor of Practice Department of Architecture; Koichiro Aitani, Texas A&M University Associate Department Head for Undergraduate Programs, Daisuke Abe, UAB visiting professor; Felipe Pich-Aguilera, Pich Architects; Pasqual Bendicho, Sumo Arquitectes; Merce Berengue, Roldan + Berengue arqts; Yoshihide Kobanawa, KOBFUI Architects. We want to give as well big thanks to all our professors: Design studio professors Miguel Roldan, Miquel Rodriguez, Katrin Baumgarten and Zana Bosnic. History Research Seminar Professor Jelena Prokopljevic; Building Technology Seminar Professor Pia Wortham; Ivan Blasi Field Studies seminar and travels Professor; Anna Sala travel professor; Spanish Professors Marta Molina and Alicia Puche. Project site: Placa de Gaudi: The site for this semester’s project was located directly across from Antoni Gaudi’s unfinished Expiatory Temple of the Sagrada Familia – the church itself getting upwards of 4.6 million visitors a year and the surrounding area much more. The students were asked to propose a design for a museum on the site, which currently hosts a landscaped plaza with a large reflection pons in the center. Between the two studios of Miguel Roldan and Miquel Rodriguez, the students designed proposals that could address the large amounts of visitors to the area as well as complement the adjacent Sagrada Familia. Part of the curriculum for students this semester was learning about local and regional architecture through site and office visits. Along with the accompanying lecture series, they were able to hear about the specific design strategies of many local architects and understand the building methods and materials specific to the Catalan region of Spain. Montjuic: On the nearby hill of Montjuic, the students were led by Ivan Blasi from Placa España to Mies van der Rohe’s Barcelona Pavilion and around the Museu Nacional d’Art de Catalunya. Then they explored the back side of the hill including the Montjuic Castle and Jardins del Mirador. Madrid: Within the third week of being in Barcelona, the students took a train to Madrid for a 5-day field studies immersion. Ivan Blasi and Zana Bosnic guided them around the city as well as through the nearby historic city of Toledo. Memorable visits in Madrid included the Royal Palace, Caixa Forum by Herzog & de Meuron, El Prado Museum by Rafael Moneo, Madrid Rio by Burgos & Garrido, and the Matadero. Park Guell: The visit began with a scenic hike to the bunkers which overlook the extents of Barcelona. Ivan Blasi then lead the students through Park Guell and explained the importance of this park to the residents of Barcelona and Gracia. Gaudi’s ceramics and nature-inspired structure created a public gathering for the residents, and were also enjoyed by the students. Villa Urania-SUMO Arquitects: In early October, the students took a trip to the neighborhood of Sarrià-Sant Gervasito to tour SUMO Arquitect’s Villa Urania. This 19th century home once belonged to the astronomer Josep Comas i Solà and was particularly interesting in its renovation as a civic center because of its large southwest facade that hosts a smart screen shading system. This corridor is used as a buffer between inside and outside, cooling the space in the summer, and heating them in the winter. It also takes advantage of its long narrow footprint, while still maintaining a sense of privacy for the adjacent apartments. The Netherlands: October 12-19: No stone was left unturned in the student’s visit to the Netherlands which was held October 12-19 and led by Ivan Blasi and Anna Sala. Students walked, biked and boated through the cities of Rotterdam, The Hague, Delft, Utrecht and Amsterdam in order to visit the works of the “Super Dutch”: OMA, MVRDV, West 8, Felix Claus, Mecanoo, Enric Miralles, Richard Meier and Gerrit Rietveld. The visit informed the students’ of the history and context of each project so that they would have a better understanding of Dutch design. Ceramica Cumella: Visiting the Ceramica Cumella facility gave the students exposure to the long-standing tradition of ceramics in Catalan architecture. Toni Cumella guided the students through the design and manufacturing process of creating ceramics for various architectural applications from the past designs of La Sagrada Familia and Park Guell to the upcoming project of Renzo Piano. Toni explained the richness that ceramics can bring to a project as he explained the process of forming the design, choosing the colors and understanding the impact its’ application will have. Toni Girones: During a trip to the office of renowned architect Toni Girones, he gave the students a presentation on projects relevant to the work they were doing in studio. It was clear through his firm’s work that they are very conscious of building with nature, not in opposition to it. At the same time, the sensitivity of their designs result in bold projects where the architect is not the only designer but acts as an intermediate between the site and the people. Escofet: ESCOFET is a Barcelona based company specializing in the design and manufacturing of urban elements and concrete. The students toured the facilities, getting to see the process of mixing, pouring and finishing the concrete elements. After seeing the manufacturing process, students experienced the design process by creating their own urban furniture, then discussed their designs and received feedback from the ESCOFET team. EMBT: Architectural collages and the context of Barcelona was showcased as the students visited the offices of EMBT. Thank you to the office for allowing us to tour. All the semester summary text is written by our Fall 2018 Graduate Architecture Students Solene Clavel from Clemson University and Rachel Henry from Texas A&M univeristy. Thank you! Open to the Public Alberto Veiga was born in Santiago de Compostela (Spain) in 1973. He currently lives and works in Barcelona. In 2001, he graduated as an architect from the “ETSA de Navarra”. In 2004 he joins Fabrizio Barozzi and they establish Barozzi / Veiga in Barcelona. From 2007 to 2009 he has been a Project Professor at the International University of Catalonia in Barcelona. In 2014 he has been Visiting Profesor at the Instituto Universitario de Architettura di Venezia. Throughout his carrier he has lectured worldwide at the main schools of Architecture and has participated in several juries of architectural competitions and awards. The work of Barozzi / Veiga has been recognized with several awards, including Ajac Young Catalan Architect Award (2007), the Barbara Cappochin International Architecture Award (2011), the Gold Medal for Italian Architecture – Best Debut Work (2012), the Young Talent of Italian Architecture (2013), the Design Vanguard Award (2014), the International fad Opinion Award, the Life in Architecture Award and more recently, the Mies van der Rohe Award for European Architecture (2015). 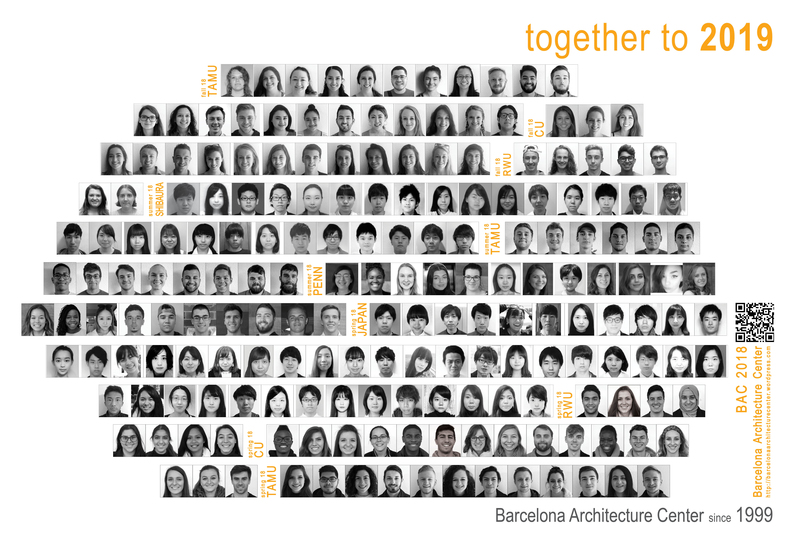 Roger Miralles, Architect ETSA Vallès UPC 2002, Phd ETSA Barcelona UPC, 2012, had lectured in La Salle_URL, School of architecture UIC, ETSAB_UPC and from 2005 he has been lecturer in ETSA Reus_URV where he is now serving as the academic coordinator. He has been visiting professor at the Witwatersrand University and Chandigarth University among others. His research focuses on early modernity with special attention to the borders: Catalan Modernism and South African Modernity. He has published his research in several international magazines and contributed in many books.